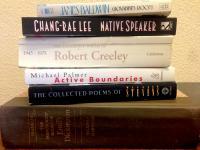 A comprehensive list of readings at Yale can be found here. Charly Evon Simpson to discuss her play "Behind the Sheet"
Pictures from some of our recent events can be found here. Donald Margulies is reading Tennessee Williams: Mad Pilgrimage of the Flesh, by John Lahr, Godforsaken Idaho, by Shawn Vestal, and My Struggle, by Karl Ove Knausgaard.